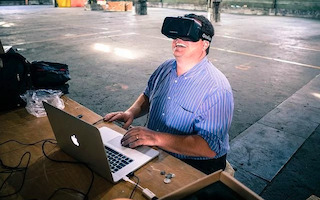 As retailers turn to VR and AR to reach their customers, 5G provides a much-needed boost. 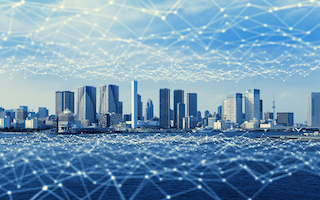 New Wi-Fi standards and devices may soon converge with 5G to enable a faster connected world. SD-WAN eases the stress of ever-congested cloud networks. Intel has introduced next-gen technologies that help companies unlock the power of their data. 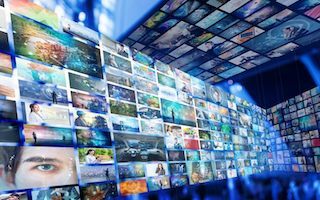 And content delivery networks get an upgrade as storytelling media evolves at breakneck speeds. It’s a bird! It’s a plane! It’s a … whatever you want it to be, because 5G will make anything possible. And that’s extra good news for retailers that plan to use VR/AR technology to reach their customers on never-before-seen levels. Whether it’s rendering immersive video in real time or shortening download/setup times, 5G is ready to save the day. Wi-Fi 6 Gains Momentum Amid Calls for 5G "Convergence"
If you were a peanut butter and chocolate fan before 1928, you had to enjoy each on its own. Thankfully H.B. Reese came along and showed that two great things can combine to make one extra great thing. Wi-Fi? Great. 5G? Also great. 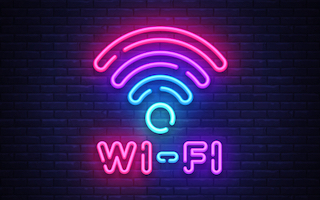 As more operators move forward with Wi-Fi 6 services amid newly released standards, many say Wi-Fi will sit alongside 5G in a converged, deliciously connected world. Let’s continue the confectionery theme: Remember when Veruca Salt scream-sung “I want it now!” at a crew of frazzled Oompa Loompas? That’s what enterprise customers are doing now, except they want flexible, reliable networking technologies instead of a golden goose. Expensive proprietary WAN hardware isn’t cutting it anymore. Enter: SD-WAN (something even Veruca would covet). The buzz from Data-Centric Innovation Day is still palpable. On April 2, Intel unveiled next-generation technologies designed to unleash the power of data for customers around the world. Among the flurry of announcements were new Intel Agilex FPGAs, which will allow hardware to evolve with 5G standards, and Intel Optane DC Persistent Memory, which helps push data to the edge more quickly to improve streaming video quality. For the longest time, fans of the “Choose Your Own Adventure” books wondered why they couldn’t do the same thing with video. Then Netflix’s “Black Mirror: Bandersnatch” changed the game forever. 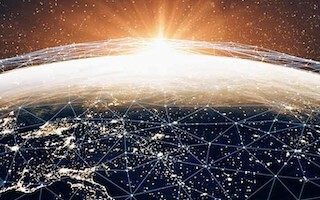 Intel’s Lynn Comp explains why content delivery networks need an upgrade (and how Intel technology is playing a role) in this new era of storytelling.